A new card programmer from HID enables customers to manage the total issuance of iClass® contactless cards onsite. Customers such as the University of Nebraska-Lincoln can now stock blank cards and program them with access control numbers, PINs, and custom application data at issuance. With four distinct fields capable of holding 16 characters, the option to use the card to store personnel data, library patron IDs, demographic indicators to determine eligibility for specific services, and other customized applications is open to the customer. IRVINE, Calif., September 16, 2004 – HID Corporation, the premier manufacturer of contactless access control cards and readers for the security industry, today announced availability of the iCLASS CP400 Contactless Smart Card Programmer. The latest addition to the company’s iCLASS 13.56 MHz contactless smart card technology product line enables programming of security-based applications and card management functions. HID’s distributors, OEMs, system integrators, and end users can now program access control data, personal identification number (PIN) codes, and custom keys for additional security. The ability to manage card customers, stock blank credentials and program them on-demand reduces end-user lead times and maximizes card management flexibility. "Using the CP400 has given the students and faculty at the University an increased sense of security because we've programmed unique data on the access control card," said Dan Floyd, director of Shared Computing Services at the University of Nebraska-Lincoln. "In addition, we've created efficiencies with card management because we can now distribute cards from start-to-finish which is extremely beneficial during the fall's busy enrollment period where we plan to distribute over 10,000 cards." 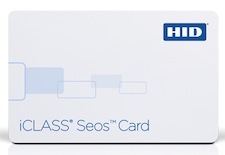 "The iCLASS CP400 gives our partners the ability to offer flexible and customizable value-added card options to their card holders," said Mark Scaparro, HID's executive vice president of sales. "Anytime we can enable our partners to further develop their business offering and deliver products quickly, it ultimately benefits our end customers." The iCLASS CP400 can program personal PIN codes directly on the access card for card reading with HID's iCLASS 13.56 MHz contactless RK40 reader with keypad and RWK40 reader/writer with keypad. It can program four, 16-character user data fields readable by the programmer and has the ability to create site-specific key codes and create reader configuration cards to program new authentication keys programmed into cards and readers. The iCLASS CP400 comes complete with a desktop reader/writer, CD-ROM with programming software and documentation, graphical user interface (GUI), personalization diskette, universal power supply, and serial cable. The iCLASS CP400 (Part Number 3150ANN00) is available now through HID's network of distributors, OEMs, and system integrators worldwide. Site licenses for the iCLASS CP400 are required and will be managed by HID Corporation.